We offer a quick, easy and efficient Day Trip to Iona departing from Easdale, just south of Oban. It takes our RIB just 75 minutes to reach Iona from Easdale and we have a wildlife guide on board. PRICES - ADULTS £90 and CHILDREN £68 - Family discount prices are available, please contact us for more information. Please note, we require minimum passenger numbers to confirm our trips - we will inform you when your trip has reached the required passenger numbers. We tend to operate this tour once a week on a Wednesday however, outside of high season dates we do have some flexibility so, please call us on 01852 300003 or email us at oban@seafari.co.uk for more information about our departures - we don't always have all the departures available for booking online so please contact us for more information. Day Trip to Iona, Staffa and the puffin colony. 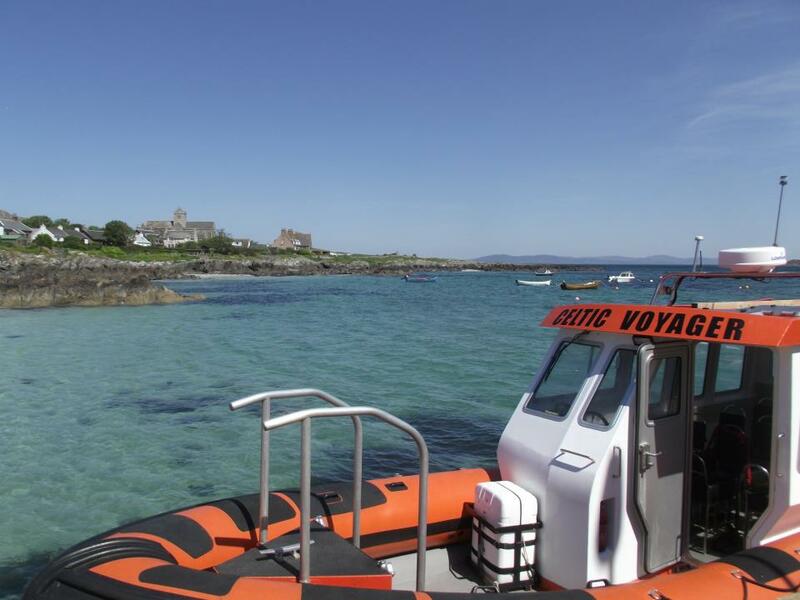 Day Trip to Iona with Seafari Adventures. Departing Easdale at 09:45hrs we head straight to Iona where you get 2.5 hours on land to explore and enjoy this wonderful island. Either take a picnic or visit one of the many cafes or restaurants on the island. We then re-board our RIB and head over to Staffa (non-landing) and, if the sea conditions allow, the skipper will nudge the boat into Fingal's cave. If the puffins are still around (they tend to depart late July) we will visit the colony before heading back to Easdale via the south coast of Mull, viewing the Carsaig arches and arriving back at around 16:30hrs. 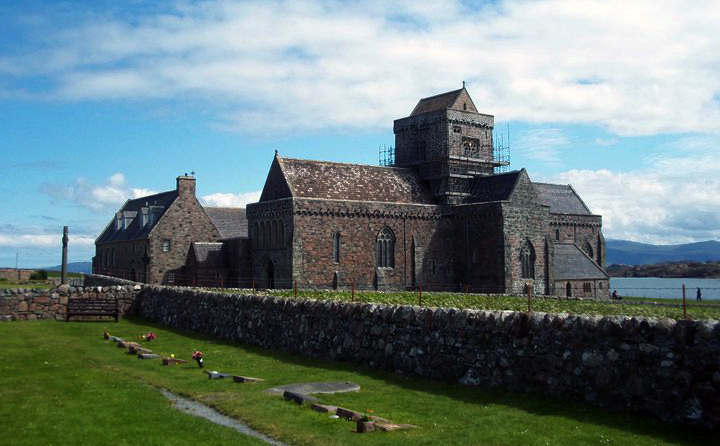 Visit Iona Abbey, linked with St Columba, with ample time ashore to relax and enjoy the atmosphere. Iona is recognised as one of the most important Christian sites in Argyll, Scotland and indeed the UK. The abbey was founded in 563 AD by St Columba, an Irish monk who spread Christianity throughout the western isles and Scotland. Not the first Christian monk in the area but St Columba is considered the most influential person in the early Christian calendar. A visit to the famous and now restored Abbey is a must. Our boat arrives at Iona jetty before the main influx of daily tourists from Oban. This allows you plenty of time for relaxed viewing of the Abbey and surrounding historical sites. Take time to visit the Abbey on Iona during our day trip. Fingal's cave was visited by many famous people of the Victorian era including Mendelssohn who, after his visit, wrote his Hebridean Overture. The spectacular basalt columns are best seen from the sea, so we do not land on Staffa but take the opportunity to visit to the Puffin colony at the north-west area of the island of Staffa (before they head offshore). These comical birds with their brightly coloured beaks are a delight to view during their breeding season. 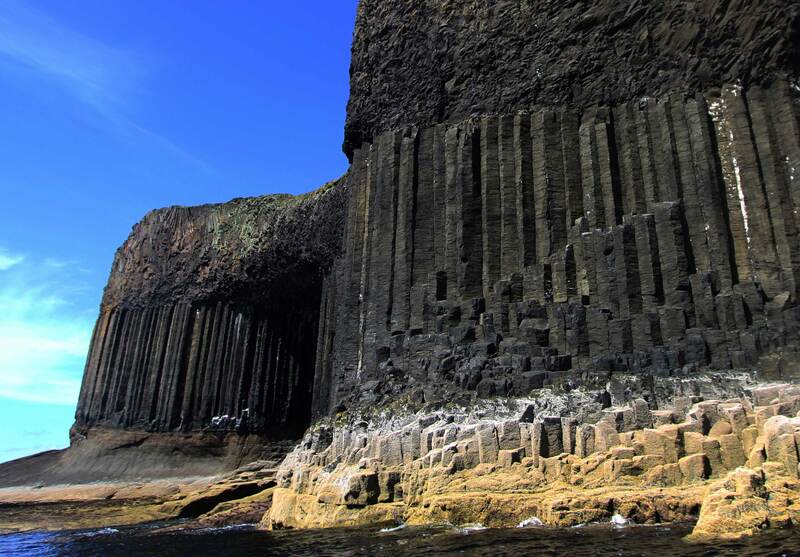 See the majestic Fingal's cave on the island of Staffa. We use one of our cabin RIBs for this tour. They are similar vessels to our open RIBs and they comfortably cruise at 25 knots. They are built in our own dedicated workshops with the same care and attention to detail as our other boats. They have twin engines and comfortable seating. The major difference is the cabin, which provides shelter to passengers during the journey. We do not provide waterproofs for this trip as the boat we use has a cabin to offer protection from the elements however we still recommend taking warm clothes. All our passengers must wear a lifejacket whilst on the boat - our lifejackets have crotch straps so trousers are more suitable than skirts. 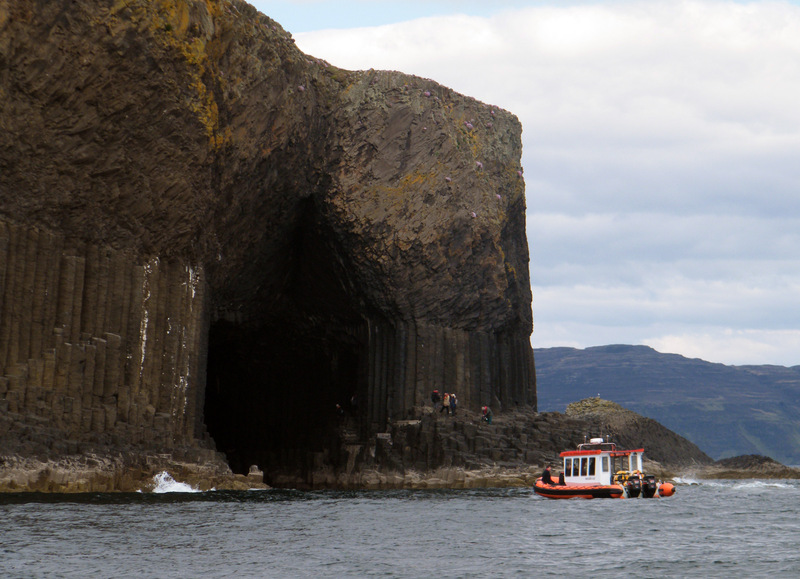 Our cabin RIB Celtic Voyager takes you to see Fingal's cave with a unique view from the water. Please email or phone 01852 300003 for the latest information.